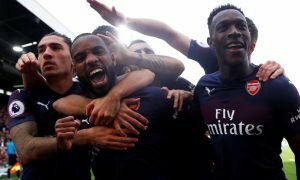 Striker may prove too costly for Wenger | The Transfer Tavern | Where football transfer rumours fly or die! Just yesterday here in the Football Transfer Tavern we were digesting the news that Arsene Wenger may move for Edinson Cavani, yet today according to the Daily Mail money may be a big issue. It’s not like we hadn’t discussed this yesterday, but after Wenger claimed that he now had money to spend after paying off the Emirates Stadium, we did wonder if Cavani would actually sign. However with figures released today claiming that the club have around £30 million to spend now that brings a huge doubt on this move. Cavani of course has a £52 million release clause in his contract and would demand astronomical wages of at least £150,000-a-week. Arsenal are notorious for their wage structure and this could well be a step too far. 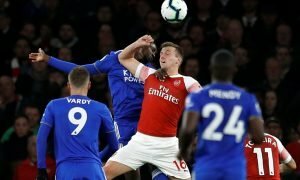 Add to this the money that clubs such as Chelsea and Real Madrid are willing to throw at the player and his arrival at the Emirates becomes less certain. Wenger claimed: “We can spend the money but I do not want to speak about Cavani because we have not made an enquiry for him.” BBC Sport revealed today that Theo Walcott has become the Gunners highest earner on wages of £100,000-a-week eclipsing the £90,000-a-week that Lukas Podolski currently earns. Cavani would demand nearly double this and caving to wage demands is not Arsene’s style, despite Walcott’s latest breakthrough. Arsenal fans. Is Cavani worth it? Vote in our polls below.